The Fifth Edition carries the series into its 30th year. The publication started in 1986 as a way to disseminate critical essays from local leaders on issues facing the entire region. Thirty years later, Currents is still shaping the St. Louis region's thinking. 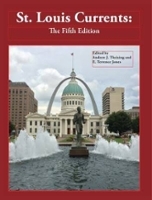 The fifth edition addresses a wide variety of topics. It has strong essays on the region's historical experience and economic outlook, which are common themes in all editions. New topics include historical perspectives on adult entertainment in Metro East, a demographic study of the region's immigrant population, plus a scholarly look at ''The High School Question'' (Yes, it matters!). It is a thought-provoking volume that is a must-read for regional leaders - public, private, and nonprofit. As the editors note, St. Louis is rather typical of most urban centers across the country and faces the same issues others do. What is unique is St. Louis's particular mix of leaders and the specific decisions that we the people choose to make for ourselves. As the region climbs out of the Great Recession and processes the lessons of Ferguson, the decisions made by the people ultimately will define the region's successes and struggles. The essays in this volume will help prepare citizens and leaders alike for action on some of those matters, and hopefully start some important discussions that will carry the region forward. In 1907, St. Louis was the first city in the United States to develop a comprehensive city plan. What are the effects of 100 years of planning? Where is St. Louis headed over the next 100 years? 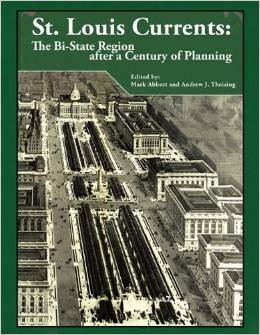 "St. Louis Currents: The Bi-State Region after a Century of Planning" explores these questions and many more. "St. Louis Currents" features articles by many prominent researchers, historians, journalists and leaders from the St. Louis region exploring topics ranging from civic culture to the environment to neighborhood design. "St. Louis Currents: The Bi-State Region after a Century of Planning" takes a critical look at many of the successes and failures of St. Louis in the past and issues that are currently being faced by the Gateway City. The first ever comprehensive history of this troubled city, the book includes more than 250 photographs amd images of the people and events that shaped East St. Louis. Andrew Theising, a professor of political science at Southern Illinois University at Edwardsville, examines the city's past from the prominent role it played in the growth of 19th century industrial America to its presently depleted state. For Theising, East St. Louis is more than just a river city suburb; it is an example of industry creating and then abandoning a city, and it is also one of the most misunderstood cities in America. The past comes to life through some of the earliest historians of East St. Louis. 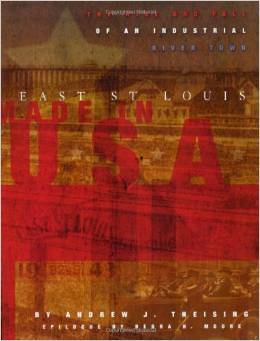 Following the success of The Making of an All-America City which the St. Louis Post-Dispatch listed among their best regional books of 2011 comes the second volume in the East St. Louis Sesquicentennial Series. 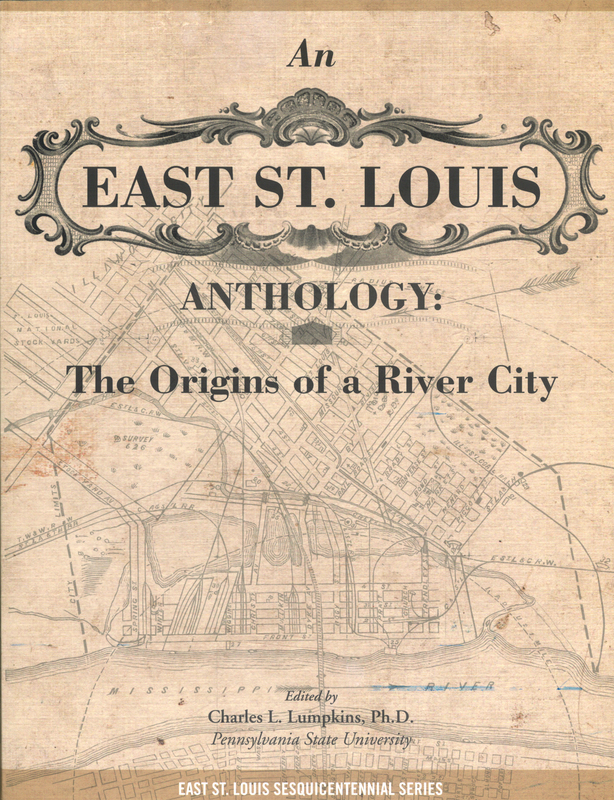 Through several essays and multiple historical documents from the city s early decades, An East St. Louis Anthology: The Origins of a River City reveals the history of the city, including a time when its citizens believed that their city was poised to outdistance St. Louis and perhaps even Chicago as the premier industrial giant and railroad freight node of the Midwest. Also included is a sample of biographical sketches and vignettes, city directories, and city ordinances. Edited by historian Dr. Charles Lumpkins, Pennsylvania State University, the documents sampled in An East St. Louis Anthology prove interesting to scholars and lay persons for several reasons. They reflect East St. Louisans intentions to build and sustain an industrial city of great importance to the nation. They operated like advertisements and announcements from the local chamber of commerce to encourage economic growth. Most importantly, the four histories preserved the stories of colonizers and settlers of East St. Louis. 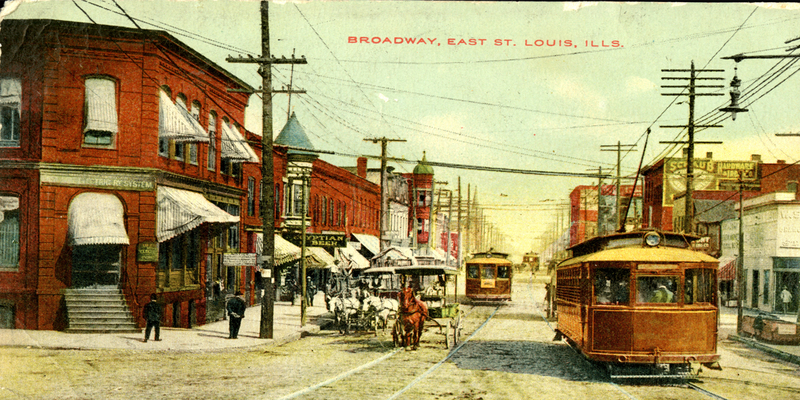 At one point in time, East St. Louis was the boomtown of the St. Louis Metropolitan area, promising to be both a hub of industrial markets and a desirable residential area. In 1960, it was honored with the All-America City designation, yet today, it has been dubbed the most distressed small city in America. Comprising a selection of insightful essays, The Making covers East St. Louis turbulent history over the past century and a half, from the Mississippi River s role in the city s formation to racial tensions, the industrial decline, and its enduring cultural impact. 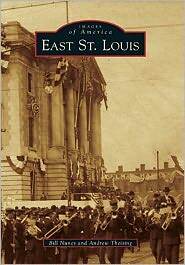 This book is the first in the East St. Louis Sesquicentennial Series, which aims to examine the city s influence, document and preserve its history, and provide meaningful reference for historians to come. On April 1, 1861, the people in the village known as "Illinoistown" went to the polls to choose a new name. On that day, with 183 votes for and 89 votes against, the map had a new place--a bustling town called East St. Louis. This wonderful collection of photographs and memorabilia (some published for the first time) shows the exciting history of this once-mighty industrial town, as well as the people who made it work and shaped its destiny.